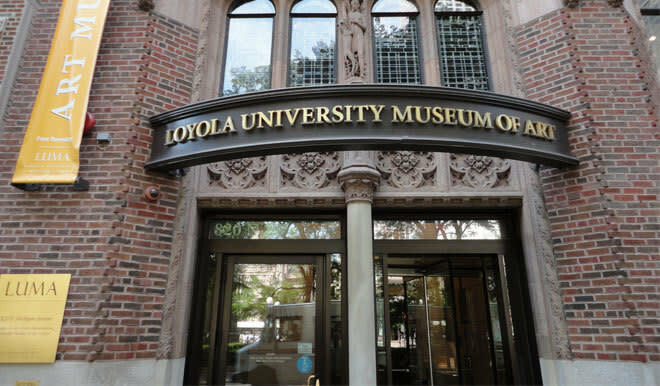 The Loyola University Museum of Art (LUMA) was founded in 2005 on the Water Tower Campus of Loyola University Chicago. LUMA is located on the Magnificent Mile in Lewis Towers, a historic 1926 Gothic Revival building. The museum, with 25,000 square feet contains eight main exhibition galleries, the William G. and Marilyn M. Simpson Lecture Hall, the Solomon Cordwell Buenz Library of Sacred Art and Architecture, the Museum Shop, the Push Pin Gallery, and the Harlan J. Berk Ltd. Works on Paper Gallery.